Shortly after NPTC’s establishment it became apparent that this test facility could be utilized by entities other than Radial Corporation. Additionally the facility lends it’s self not only to the testing of equipment, but to training in the use of this and associated equipment. To that end, invitations were extended to various organizations, both private sector and government, to use the facilities. In 2011, for the first time NPTC opened its doors to the Parachuting Public, in particular Renactors. In February, 2011 a Primary Airborne Course and SF-10A Qualification Course was conducted. The SF-10A is the canopy in the U.S. Army’s new MC-6 Parachute System. Fourteen students were joined by 34 Straphangers. 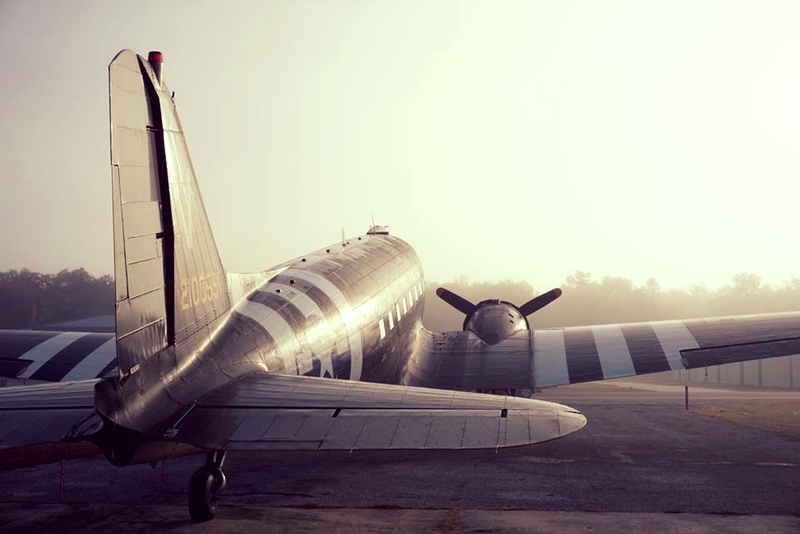 Over a period of three days 128 jumps were made from the Tico Belle, A C-47 veteran of D-Day, without incident or injury. NPTC continued with 2 more courses conducted in 2011, 3 in 2012, and 3 each year since. Four of those courses utilized the SkyVan or CASA and their outstanding tailgate exits. NPTC plans to conduct three training programs per year utilizing the C-47s, SkyVan or CASA. Additionally, NPTC is prepared to conduct training classes on any canopy in classes as small as six Students. In addition to the drop zones available at Dunnellon Airport, NPTC has several other locations that can be used with some prior coordination Should a group have specific set of requirements for a drop zone, NPTC stands willing to locate an area and provide the support, ground and/or air, to meet such requirements. NPTC maintains sufficient aircraft under contract to accomplish those tasks at hand. Additional aircraft can be contracted when required. All aircraft are available for personnel, cargo, and test drops. Estimated costs for these aircraft are predicated on a base fuel price. At the time of this writing, fuel prices are fluctuating rapidly and a firm cost can be quoted when only all parameters of the mission have been established. At the Dunnellon Airport, NPTC is located in a large hangar that is divided into a personal parachute loft, cargo parachute packing area, classroom, video room, shops, and offices. In addition to the normal selection of sewing machines, hand tools, and die sets expected of a parachute loft, NPTC has access to the latest NC machine tools at Triad EDM which is co-located with NPTC. Parking for 30 vehicles and 6 mid size aircraft is available on site. Additional parking can be made available on request. Avgas & JetA are available 24/7. HiPress 02 is available on request. All persons involved in operations at NPTC are appropriately licensed Pilots, Parachutists, or Riggers. Many hold all ratings.